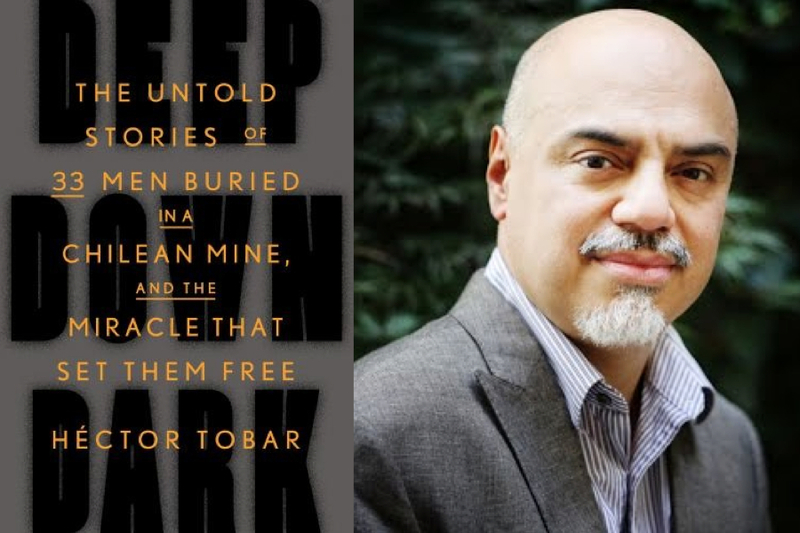 As you may recall, Ann fell in love with a book recently: Deep Down Dark — The Untold Stories of 33 Men Buried in a Chilean Mine, and the Miracle That Set Them Free by Héctor Tobar, a Pulitzer Prize winning journalist and novelist who blended the best of both types of writing to tell the personal drama behind the news story we all remember from 2010. Trapped and starving inside a mountain of rock for 69 days, the miners agreed that if they lived through the experience — a possibility that seemed extremely remote — they would tell their story only as a group. Tobar is the writer they chose to hear and tell their tale. AP: This isn’t a question, but I wanted to say I think Deep Down Dark is brilliant. It’s a masterwork of human compassion. Are you naturally a very nonjudgmental person or do you have to work at it? You manage to bring the decency of every person forward while at the same time telling all their foibles. HT: Ah, thank you for your generous and very kind words. I think that I might just be wired that way. I had a somewhat tumultuous youth. Each of my parents was married three times, and all of their marriages ended poorly — one with a suicide. I saw the best and worst in people growing up. I think that forgiving the adults around me for their faults, and seeing the good in them, was what kept me sane. AP: How much of your fiction writer self did you employ while writing this work of nonfiction? HT: I always thought of what I was writing as a “non-fiction novel.” I wanted to create a world that felt physically textured and real. And I wanted to enter as deeply as possible into the emotions of everyone I wrote about: the miners, their families. My first questions, in fact, were not about the accident at all, but about what it’s like to be in a mining family. A few times, I completely lost myself in my subject’s point of view, which is something novelists often do. I wrote a long passage about Edison Peña (famous later as the marathon runner) and his struggles underground with incipient insanity that reads a bit like a soliloquy. I was able to do that because he was so frank about his feelings when I interviewed him. AP: I’m particularly struck by how vividly you paint life underground when in fact you never got to go down in that mine. You don’t just make the reader feel the heat, you make us smell the place, you make us live in the damp and the rot. We are all down in that mine. Did you visit any comparable mines? HT: I had the opportunity to visit and enter a nearby mine, yes. That was critical. The 33 survivors told me, for example, about the existence of this interior void or valley called “The Pit.” But it’s quite another thing to see one of these voids yourself, and understand what it’s like to stand on the edge of a dark abyss while underground. Beyond that, I just asked a lot of questions. Interviewing is sort of like writing with questions. I was very fortunate to have 33 witnesses. People’s memories work in different ways and assembling their recollections into one narrative gave me something like a novelist’s omniscient eye. One man, for example, was really great at remembering the speeches people made. Another remembered many small technical details. One man was especially colorful in describing what it was to be constipated, another what the foul industrial water they drank looked like, and how their unbathed bodies smelled. And finally, I had access to a diary one of the men kept while underground, and a series of images and videos the men shot while they were trapped. In the end, I felt I had an embarrassment of riches. 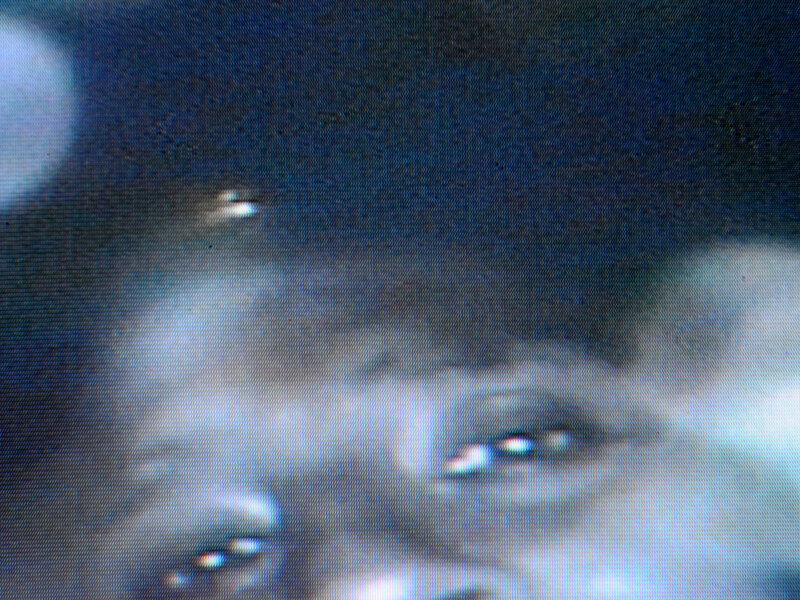 The first image sent up from inside the San José Mine when the miners were reached for contact by rescuers: the face of miner Luis Urzúa. 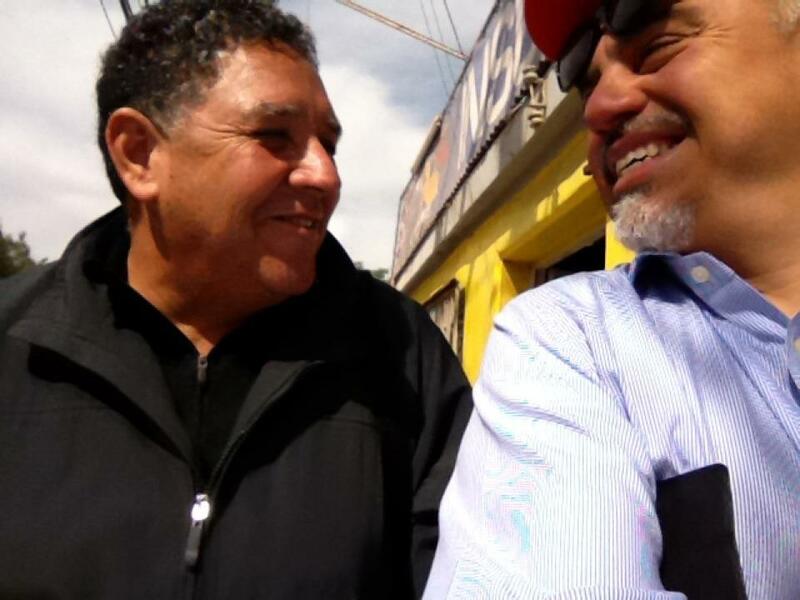 Urzúa, like all 33 of the miners, spent hours speaking with Tobar about his experience. They had all agreed not to sell their story or share it with reporters individually. AP: One of the most fascinating aspects of this story is that the miners had a contract drawn up while they were still underground in which they agreed to split all the proceeds from any book or movie about their experience. What kind of a selection process did the miners have? How did they come to you? Did you meet with them? Submit writing samples? HT: The miners signed up with the biggest law firm in Chile, and that law firm contacted William Morris Endeavor in the U.S. Since several quick books on the miners had already been published, WME decided that they needed a writer who could create something with more literary qualities. They needed a novelist, who was also an experienced journalist, and who was fluent in Spanish. And it would help if this writer knew something about Chile. (I had once been a Los Angeles Times bureau chief in South America). Well, that’s a fairly small universe of writers in the United States. WME recommended me, and I went to Chile to introduce myself to the men, and their families, and they came to trust me. I’m grateful for that. AP: Everyone knows how your book is going to end and yet the suspense kills the reader all the same. The book is a true nail-biter. How did you manage that? HT: I’m deeply relieved that the story kept you on the edge of your seat. I worried a lot about holding my readers’ attention. I think, in part, the tension is built into the story, once you learn the details. Even when the men have seen a drill break through to them, and they’re waiting to be rescued, they’re also suffering from all sorts of weird ailments, and they’re starting to get pitted against one another. Plus, they’re all still psychologically frail and battered because the mountain and its thunder never stopped torturing them. Beyond that, I think, that having written novels helped a lot. I think if you work to have people identify with your “characters,” they’ll want to read about them all the way to the end. AP: Also, how did you decide at what point to end it? I was very interested in the fact that you give us a glimpse of a couple of years after the rescue, as well as introducing yourself as a character. I was grateful for the extra information. Was it difficult to know where to draw the line? HT: Very quickly in the process of interviewing the men, I realized that this was really a story about family and familial love. When they were trapped, and hadn’t yet been found, the miners were haunted by the idea that their deaths would cause pain and suffering for their families. More than anything, they wanted to go home. In that sense, their story really was like The Odyssey. These men went through a series of trials and tribulations, a kind of journey that ended with them reaching home. So it seemed right to end the book with a miner at home, and thankfully I was presented with the gift of seeing one of the miners share a wonderful moment of reflection and celebration with his family. As I was walking away from his home that night, I knew that would be my ending. AP: Do you think this book will serve to raise awareness of the dangers of mining? I think most people realize that mining is a dangerous job but if you aren’t a miner or in a mining family you probably don’t think about it much. Was it part of your ambition to write a book that could put public pressure on mining companies and affect changes for safety? HT: I think that anything I could write would have less of an impact on the mining industry and its safety standards than the accident itself did and all the media coverage it generated. In Chile, the collapse of the San José Mine led to many investigations, and to a marked improvement in government monitoring of the industry. My own ambition with the book was the same as it’s been for my entire career as a writer. I wanted to write a book about so-called ordinary people that was true to their experience and to the richness of their lives. Those 33 men were called heroes for surviving the accident — but the real act of heroism was just going into the mine in the first place, like thousands of miners do around the world every day. Getting to know those 33 miners and their families was an amazing experience. In the end, I simply wanted to write a book that was true to what they shared with me. It was a real-life epic, lived by ordinary men and women.